The MIAS Mountain Bike Instructor Award is available at three different levels, depending on both your own experience & skills as well as the kind of leading and instruction you wish to do. Level 1 is suitable for individuals wishing to lead groups of cyclists on low level terrain such as bridlepaths, canal towpaths, fireroads and family based cycleways. Candidates usually wish to lead groups of children or bikeclubs. Level 2 is for individuals hoping to leads groups of cyclists on more technical terrain such as trail centres or natural riding where the height does not exceed 600 metres and is no further than 20 minutes from a point of rescue. This is for experienced off road mountain bikers with good bike maintenance skills. You should be able to lead experienced bikers on technical terrain and be able to fix their bikes should they break down. 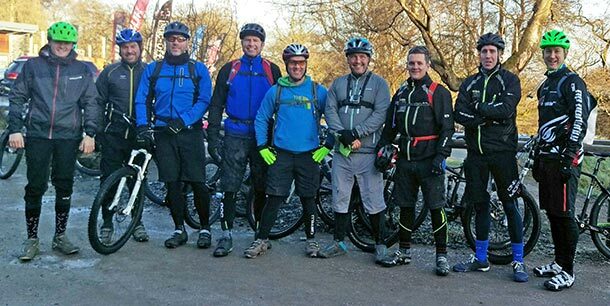 Level 3 is for serious mountain bikers who wish to lead cyclists in challenging wild country terrain, above 600 metres and in remote locations, ML award is essential as is excellent MTB skills along with maintenance knowledge. All courses run over two days with fully qualified instructors. You will receive all course materials as well as both practical and classroom instruction. Once registration is complete you will receive input from the MIAS cirriculum, carry out a full bike check, practise your bike maintenance skills, have the bike correctly fitted before setting off on a ride suitable for the group. The ride will include risk assessments, effective communication, practical demonstrations and group safety along with an element of map reading. On your return you will complete your own assessments from the ride. Once the bikes are cleaned and prepared you will now lead the assessor around the route from Day 1, it may be a seperate equally qualified instructor, you will be assessed on all aspects of the course outlined above, the instructor will determine what level you are suitable for and discuss progression and possibly returning for reassessment. A full debrief will be given to every individual. A good quality mountain bike suitable for the activity planned. Suitable clothing for the duration of ride and weather conditions. Enough fluids & refreshments for a full days riding. Relevant skills for award level. Current valid first aid qualification (training also available).